Kanye West performed to thousands of fans at The Dome in Johannesburg North last night. The 18 time Grammy award winner performed for close to 2 hours, singing an array of new and older songs, keeping the crowds enthralled. The multi-screen display on either side of the stage depicted ice storms and polar ice caps, amongst other natural wonders, in line with the Castle Lite Sub Zero theme of the night. Warm up acts included female DJ Ms Cosmo, Tumi and the Volume, Amu, Zakwe, Magesh and AKA. A number of A-list celebs were present in the VIP area, and I got to chat to some of them. Keep an eye out for my next post to find out what projects Danny K, Mika Stefano, Tumi Masemola from Gang of Instrumentals, Lorna Maseko and Slikour have in the pipeline. 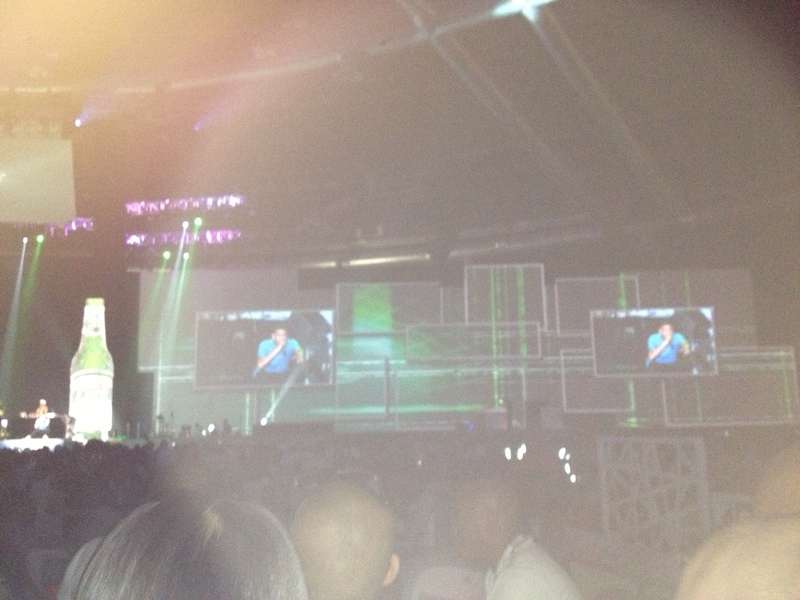 All in all, the night was very eventful and exciting with the build up to Kanye’s performance at 23h00, the climax. Here is the opening song that Kanye West performed. Enjoy! This entry was posted in Entertainment, Hot Happenings and tagged Castle Lite Feel The Beat of Sub Zero, Danny K, Gang of Instrumentals, Kanye West, Lorna Maseko, Mika Stefano, Mishkah Roman-Cassiem, Slikour. Bookmark the permalink.